The products themselves are very appealing to the eye, with pastel packaging revealing the exact colour of what is inside. The ones I got to put to the test all come in squeeze tubes, which I always appreciate as it makes using the product that much more hygienic. The Morning Clear Purifying Facial Wash ($10, 150 ml) is a great product that removes impurities and that is especially effective at removing makeup. 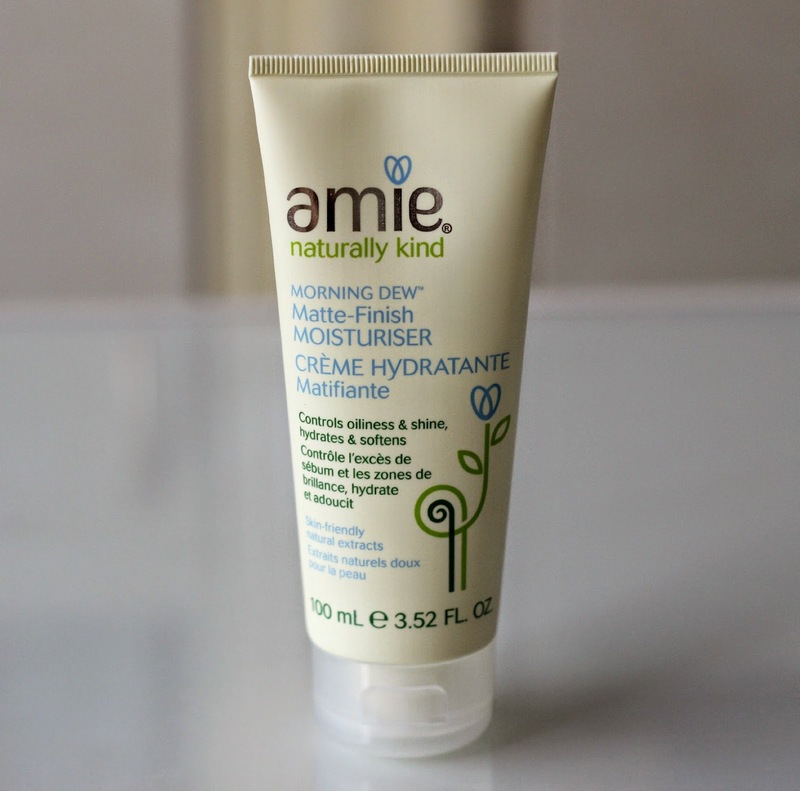 The formula is super gentle and non-irritating, and it has a creamy feel to it as well, doubling as a moisturiser so it does not leave my skin feeling dry whatsoever. 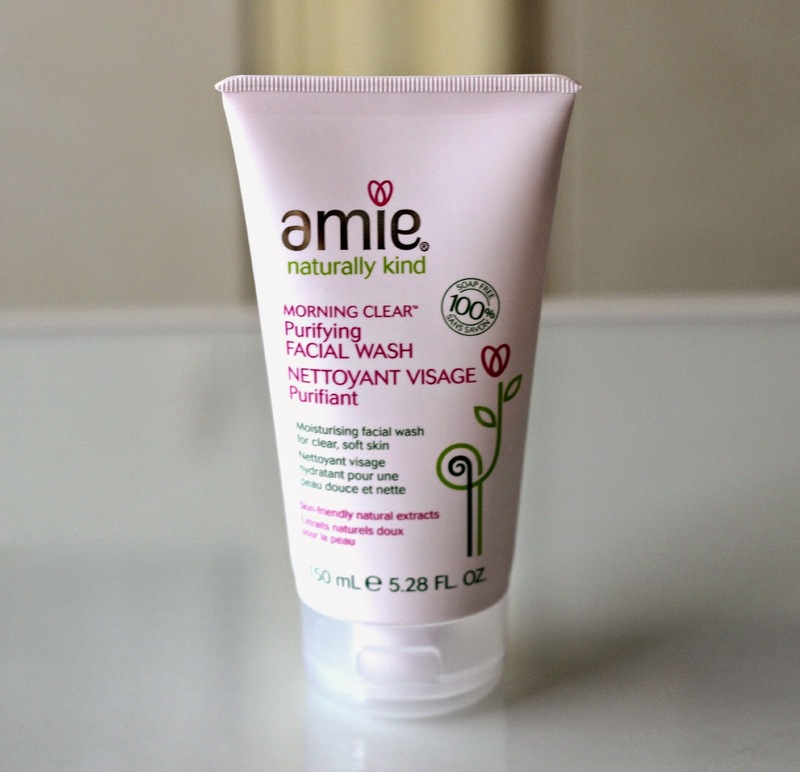 This facial wash contains flower extracts such as orange blossom, elderflower and raspberry and even cocoa butter among other botanical ingredients and can be used both morning and night for best results. This is probably my favourite product from the line because I have yet to try a facial wash that is so hydrating and that is natural to boot. The Spring Clean Deep Cleansing Mask ($12, 100 ml) is meant to bring out impurities from deep within the pores and remove excess oil while preventing blemishes from surfacing. The green-tinted cream isn't too thick and dries to a clay-like texture. 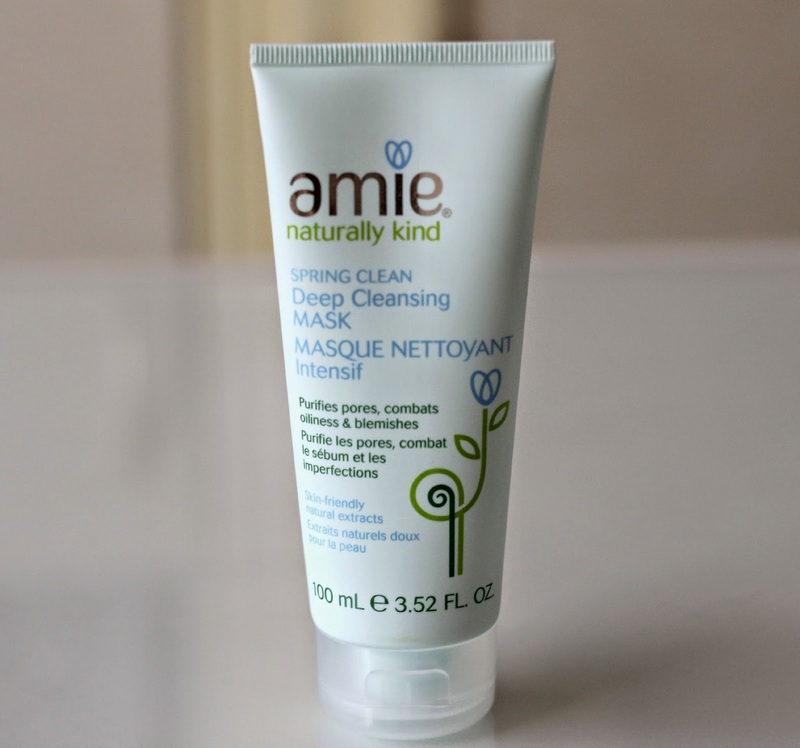 When Amie describes this mask as cooling, they certainly aren't kidding: within a minute of application, it literally felt like a wave of frigid air hit my face! I wasn't expecting such a reaction but thankfully this feeling subsided after a few more minutes. I am not sure if this is how the product should react on the skin, but considering it contains peppermint extract I can see why it is so strong. Overall, I do like how it leaves my skin feeling glowy and reduces redness, although I keep it on for less then the recommended 10 minutes because of how intense it is for me. The Morning Dew Matte-Finish Moisturiser ($12, 100 ml) is formulated to reduce oiliness as it is made with rose hip and bilberry extracts which are both mattifying and hydrating ingredients. 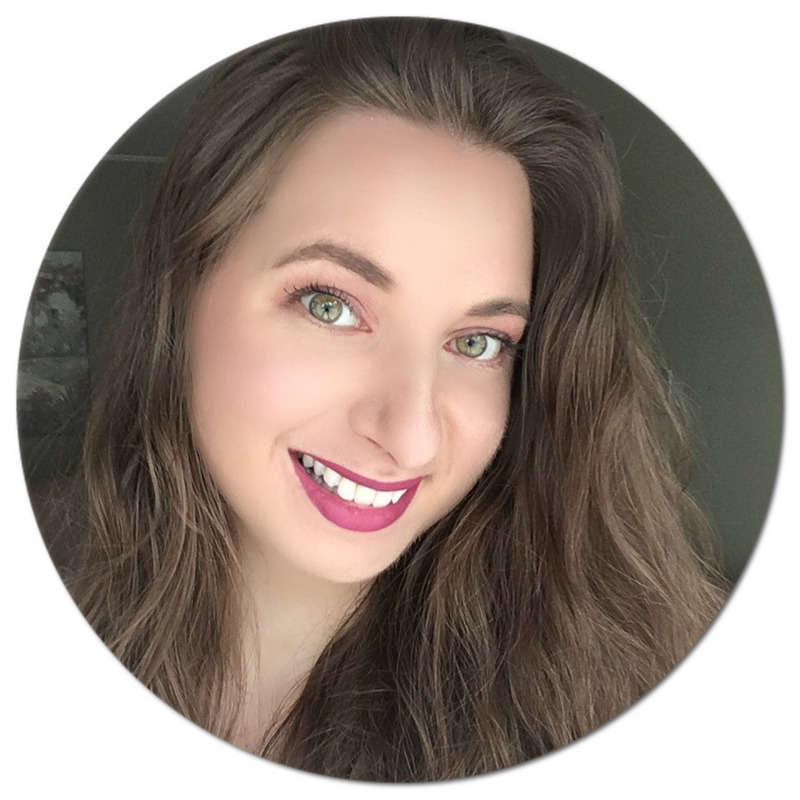 It is perfect to use under makeup and with the foundations I have paired it with so far, it has noticeably helped prolong any shine from surfacing in my t-zone for a couple of hours longer than usual. It feels very lightweight on the skin and absorbs quickly which is very important when applying day cream. I wish this product contained SPF as I wouldn't have to think about applying sunscreen beforehand. That is why I mostly use it on days when I won't be outside for long. The Morning Light Hydrating Daily Moisturiser ($12, 100 ml) to me is fairly similar to the matte-finish version in formulation. The ingredients are similar as it also contains rose hip oil, but also has added rose extract and mallow which also boast soothing properties. Although it is meant for daytime use, I prefer using it in at night after cleansing since I don't mind if my oils shines through as much. 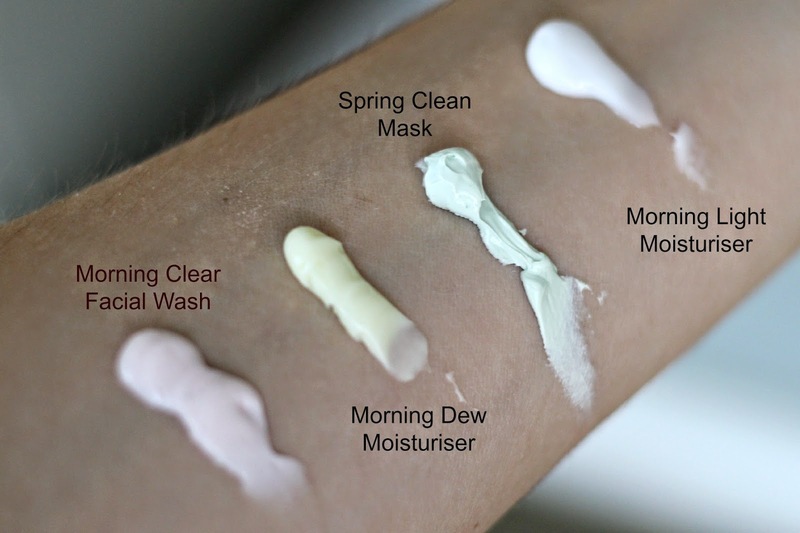 Between both moisturisers I prefer Morning Dew simply because it is better suited for my skin type, but think this would be a good option for someone who has normal to dry skin. 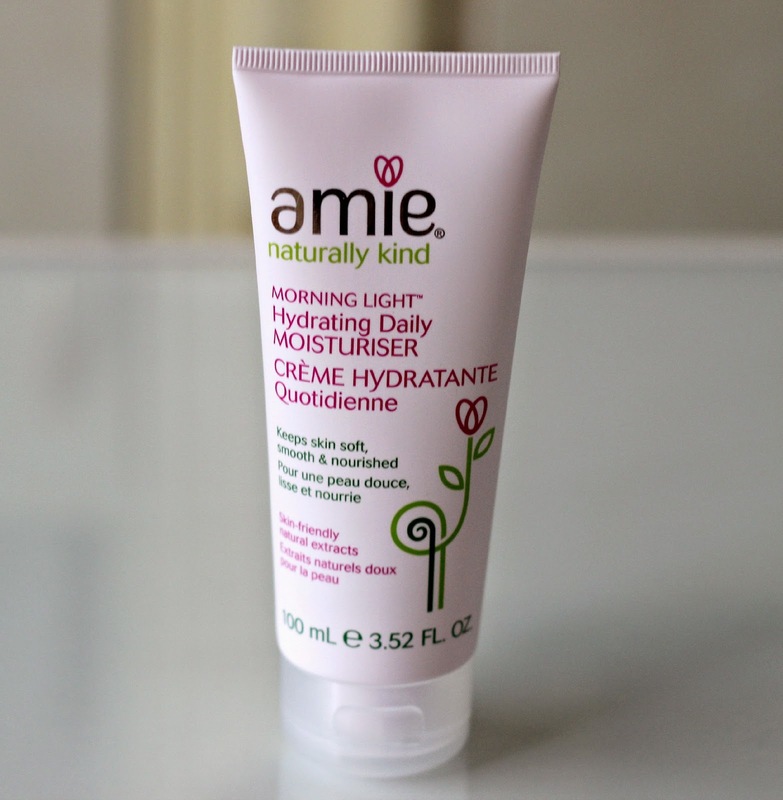 Overall, I am really pleased with Amie skincare and think it is definitely worth trying out. I really like how their products are plant-based and inexpensive. 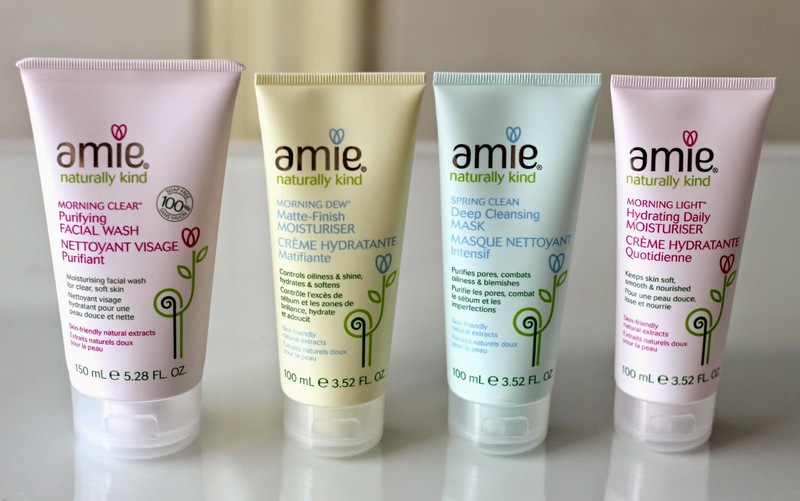 Have you tried or plan on trying Amie? What product(s) caught your eye? I reviewed this line too and I liked it, in fact I will be trying some of the other products. It is Affordable and feels nice on my skin! I liked the face wash and the mask. I love the packaging of this line, it's so cute! Oooh the mask sounds like it's right up my alley, I shall try it tonight!